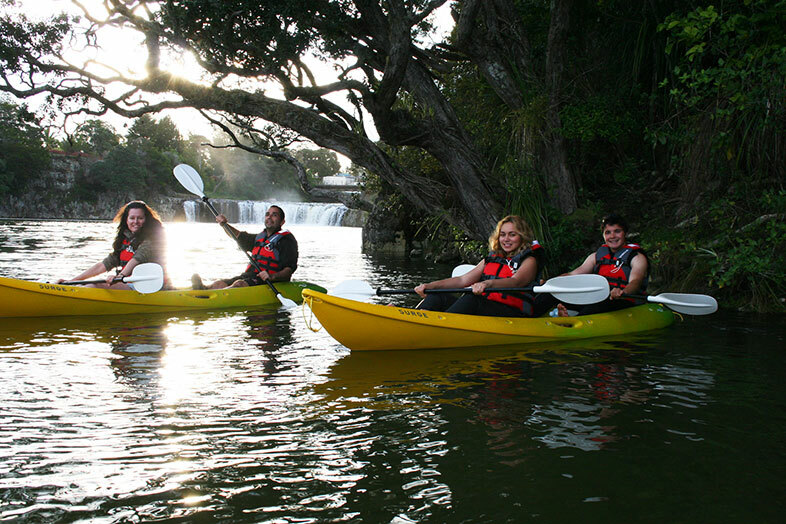 Kayak Cruises offers a range of day, twilight and night Kayak adventures. 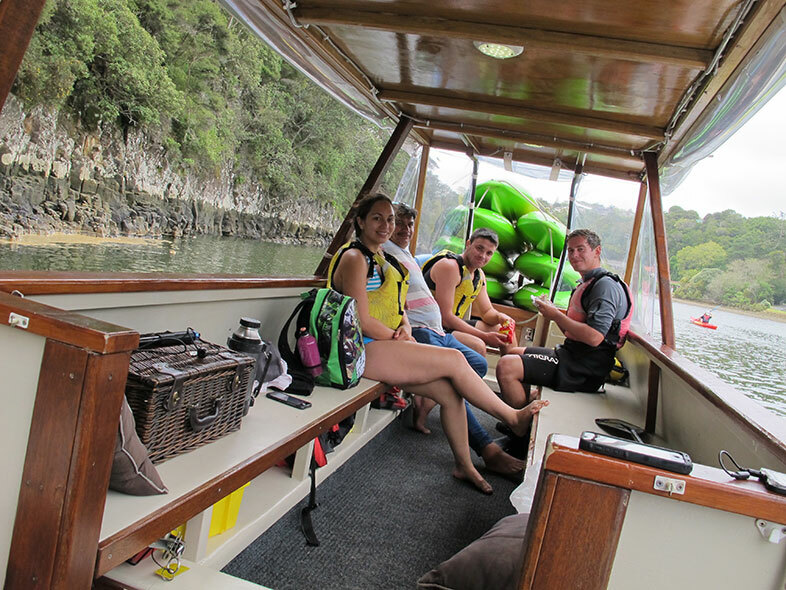 Depending on your preferred choice, all of our options include a cruise along our local coastline, meandering up the Waitangi River that was host in days gone by to sailing ships loading up Kauri logs bound for international ports. 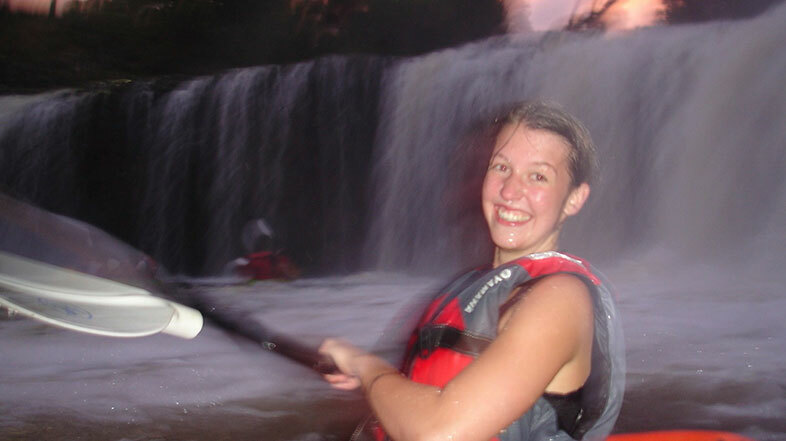 You then transfer to kayaks or paddle boards and explore up close the mangrove forests, seabird colonies living on the riverside in nests hanging over the water, and onto our final destination, the Haruru Falls where the waterfront drops into the sea. 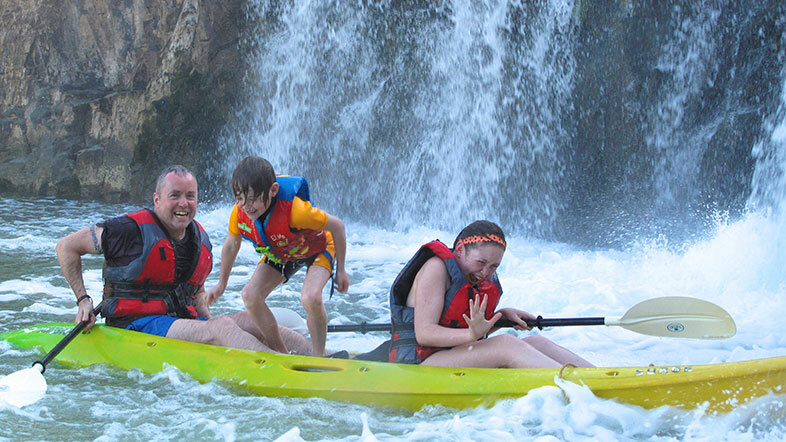 At the waterfall the fun & adrenaline starts, even first-timers can safely experience paddling in foaming white water & even under the waterfall itself. 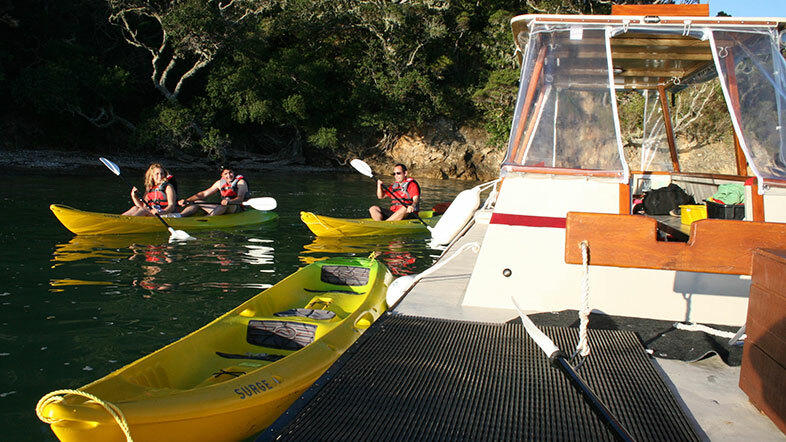 Check out our guide to Kayaking the Bay of Islands here. 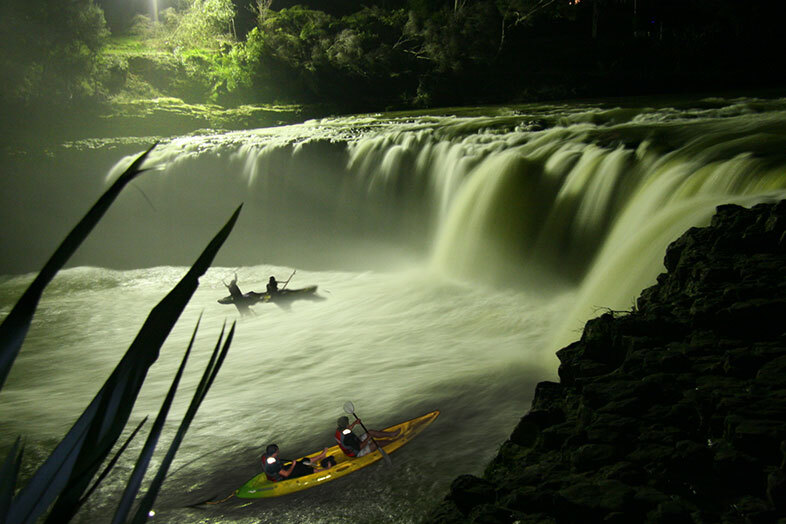 The ‘Night Safari’ has the added punch of white water kayaking in the dark, under a spotlit waterfall or glowing sunset. 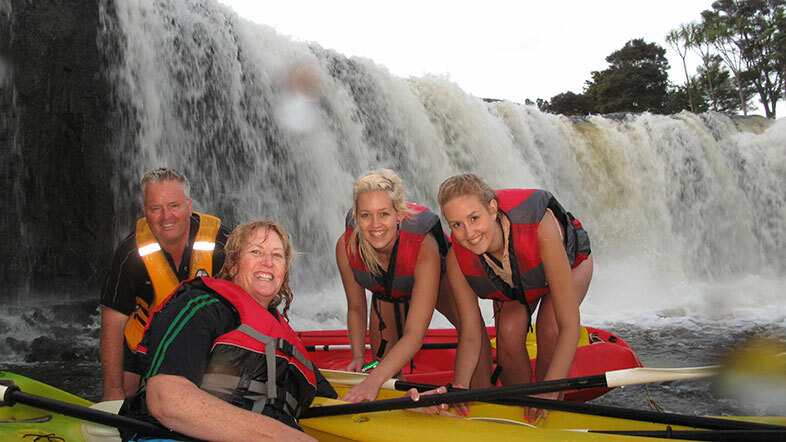 The scenery is captivating & waterfall exhilarating at this time. 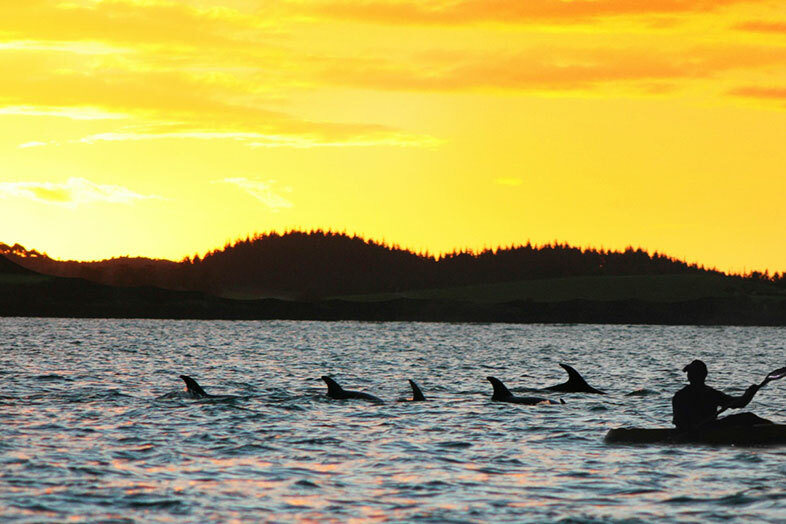 Setting sun, millions of stars, rising moon, jumping fish, screeching owls, kiwi & other eerie calls all add to the experience. Sometimes on dark nights our kayak wakes & paddles drip & glow a iridescent green from millions of tiny “Sea Glow Worms” a bio luminescence that is activated from our kayak movement. Sometimes on dark nights our kayak wakes & paddles drip & glow an iridescent green from millions of tiny “Sea Glow Worms” a bioluminescence that is activated by our kayak movement.